Below is video from the Unity conference held last year titled Unite 2013. In the video of the two-man team behind Vancouver startup Coding Jar Studios, they speak on their experiences developing and releasing their first commercial game, Fling Theory on the Windows 8/ Windows Phone platform. Take a look below developers! Jodon Karlik (Coding Jar Studios) about issues you can run into when targeting Windows 8 and Windows Phone 8 and how to solve them, based on his experience with Fling Theory, one of the first games to appear on both platforms. 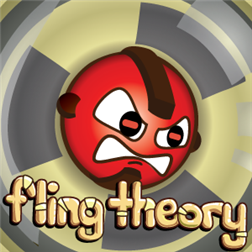 Fling Theory takes the complex topic of atomic physics, simplifies it, then makes it accessible and fun to play for ages 9 and up. In Fling Theory, players manipulate atomic charges to solve puzzles. The game was sponsored by AppCampus, a joint effort by Nokia & Microsoft to bring high-quality applications to Windows Phone devices. Written by: MBGW on January 5, 2014.